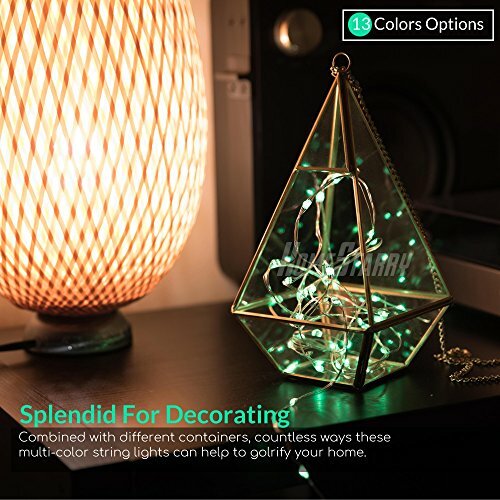 Homestarry's most popular star product, first multicolor string lights on the website. 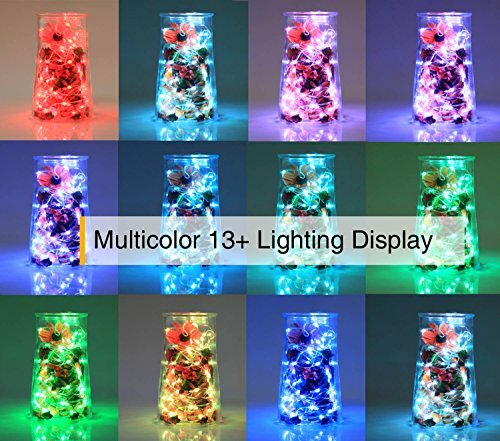 13 colors bring fantastic decorating effects and also fun to operate. 10 Brightness Levels: Different luminances create various decorating effects and atmosphere. The light strand was made of 4 high-quality insulated silver wires, which makes it tough and sturdy. It is also very flexible. It can be easily twisted into any shape and be wrapped around almost everything, perfect for modelling. Both the lights strand and the battery case are waterproof. They can work fine on rainy days (*avoid soaking them in water), ideal for outdoor use. Different colors need different voltages to shine, please replace the batteries if you find some colors fade out. Make sure the batteries you are using for this product have enough energy to support all the functions. We suggest to use rechargeable batteries to protect environment and save money. 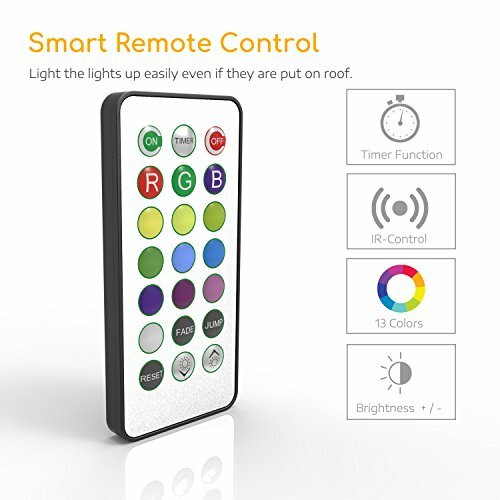 VERSATILE REMOTE: 13 Colors (red/green/blue/yellow/purple...) and 3 light modes (steady-on/Fade/Jump) are selectable. 10 brightness levels provide fine adjustment. Even got smart timer function to automatically have lights stay 6h on and 18h off. Set timer up properly, you will get a warm glittering shinning ''Welcome Home''! EXCELLENT FLEXIBILITY: Consists of 4 high-quality silver wires, which make it tough and sturdy, not easy to break apart. It is also very flexible and can be easily twisted into any shape, perfect for modeling. Waterproof and insulation ensure use safety. 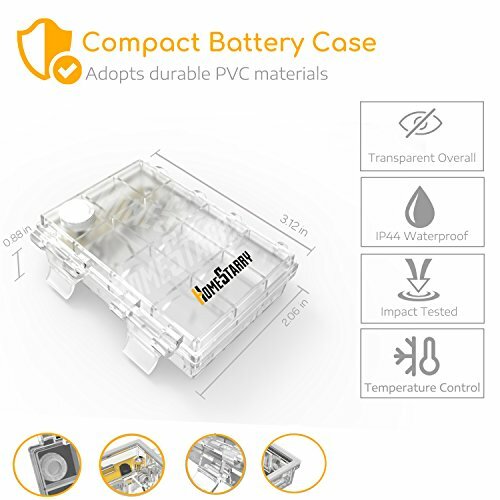 QUALITY BATTERY CASE: Made from high quality PVC materials. Got smart temperature to prevent overheat. The button on it can be used to switch the lights on/off and change light modes directly by pass the remote. Two methods to freely control the lights. 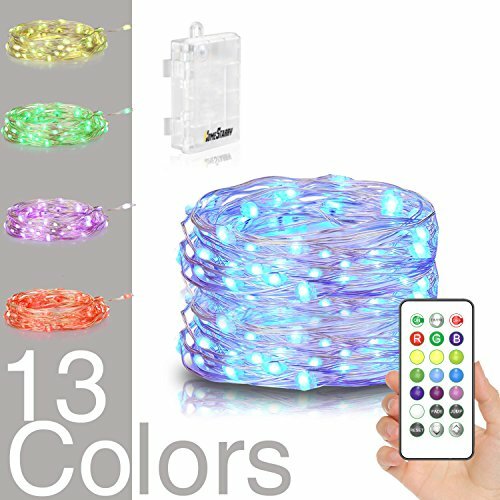 IP44 WATERPROOF: All parts of this string lights are waterproof. They can work excellently even on rainy days. Ideal ornament for outdoor decorating. 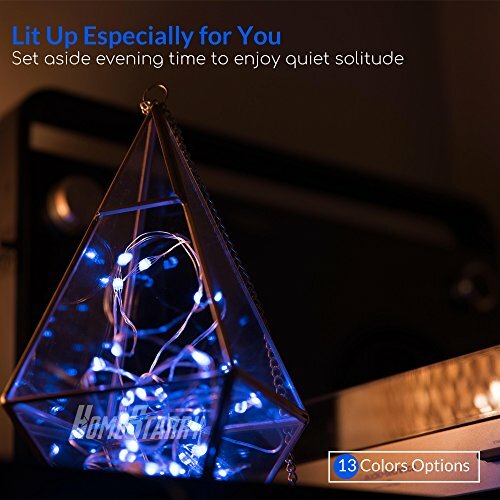 All battery powered string lights by Homestarry possess FCC and CE certificates and environmentally-friendly Rosh, safety guaranteed. 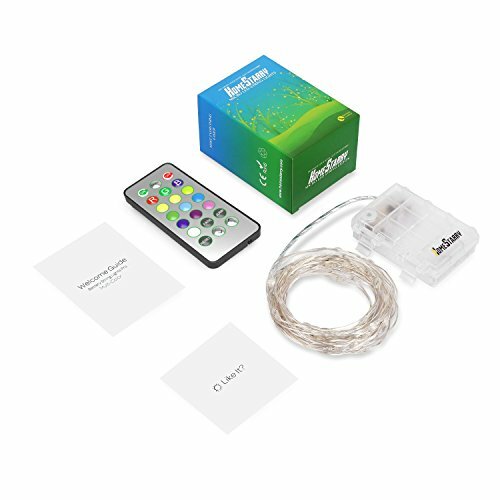 If you have any questions about this product by Homestarry, contact us by completing and submitting the form below. If you are looking for a specif part number, please include it with your message.